Sol de Oro kohteessa Machu Picchu, Peru: Varaa nyt! 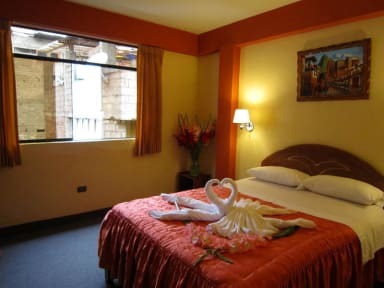 Sol de Oro Hostal, our guesthouse is located in the town of Aguas Calientes, we have single, double and triple accept small groups of 15 people, all our rooms have private bathroom, hot water 24 hours we are located in the urb. Orchids a few meters from the train station, bus station to Machu Picchu and the thermal baths our services are basic but useful for a pleasant stay. 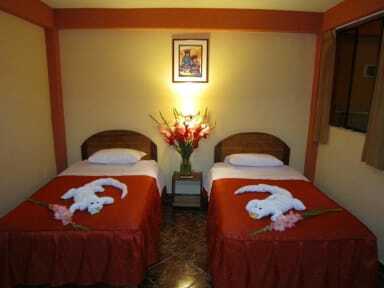 Only minutes from the thermal baths and market sales artezanias typical of the place.